We have a large climate controlled shed where we house captive lizards and where we measure whole animal performance. Click the links below to see some of our equipment in action. 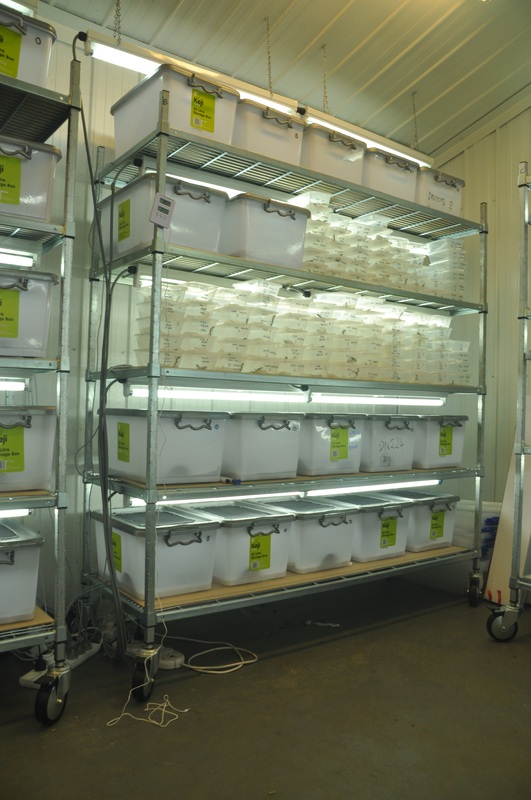 A rack with adult lizards in large tubs and lots of baby Eastern Water Skinks (E. quoyii) from the 2010 breeding season. (Part of Dan Noble’s PhD.) Photo by Ferdy Timmerman. Panorama of lizard room. Photo by Ferdy Timmerman.